Sabre Magnum Pepper Spray 4.4 oz. With Flip Top And Holster | BUDK.com - Knives & Swords At The Lowest Prices! This 4.4 oz. Maximum Strength Pepper Spray features a flip-top for easy access and durable nylon belt holster. The spray contains UV marking dye to aid in suspect identification, so your attacker won't get far. 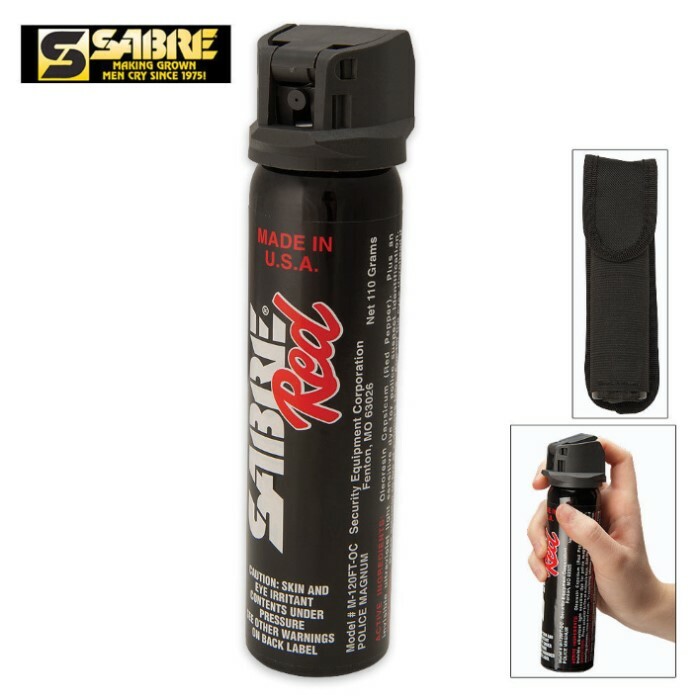 This flip top pepper spray can shoot approximately 30 shots at a distance of up to 12 feet.